Anatole Kiriggwajjo was a Munyoro. Although it is not known how he came to Buganda, it is safe to assume that, like the other two Banyoro martyrs, Kaggwa and Mukasa Ludigo, he had been cap¬tured by a raiding party and brought to Buganda as a slave. He is known to have been in the service of Kisomose, a former Chancellor of Muteesa, who was deposed after arousing the enmity of the Queen Mother by his rejection of her amorous advances. Kisomose had al¬ready been degraded and relegated to a small sub-chieftainship be¬fore the arrival of Speke and Grant in 1862, so it must have been much later that, possibly with an eye to regaining the royal favour, he presented to the Kabaka his Munyoro slave-boy, Kiriggwajjo. Muteesa employed the lad in his own private apartments until the end of his reign, and it was during this period of service that Kiriggwajjo first put himself under instruction. 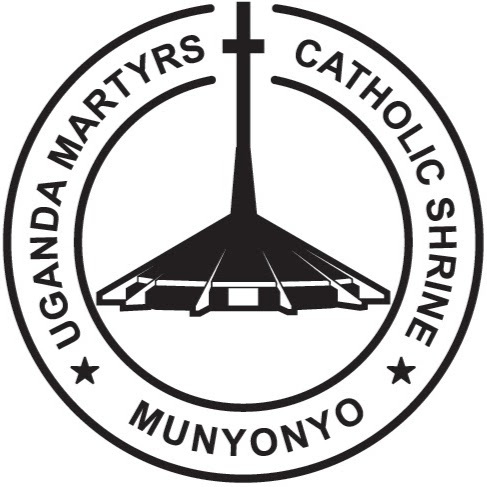 After the departure of the priests, he continued his study of the Catholic religion under the guidance of Joseph Mukasa and John Mary Muzeeyi. On the death of a Kabaka, all his servants were automatically out of employment, although they could be re-appointed by his successor. Kiriggwajjo, therefore, left the Court on the death of his master and attached himself to Andrew Kaggwa, his fellow-countryman. How¬ever, like so many of Muteesa’s pages, he had been on familiar and friendly terms with the young Prince Mwanga, by whom he was recalled to serve in the court of the audience hall, although he did not again take up residence in the royal enclosure. A little later, the young Kabaka singled him out for promotion to a post of importance at court but, as this post exposed the holder to considerable moral danger, Kiriggwajjo firmly refused to accept it and, in so doing, seriously offended Mwanga. It seems likely that the position offered was one that entailed close attendance upon the many royal prin¬cesses who, forbidden to marry and starved of male society, were liable to use all their wiles, and even employ force, to seduce any male whose duties brought him into the women’s part of the enclosure. One witness estimates this martyr’s age as sixteen, and another as twenty at the time of his death, but, as he seems to have served Kabaka Muteesa for a number of years before the latter’s death in 1884, it seems probable that he was somewhat older even than twenty. (a) To care for the cleanliness of the houses of the king’s wives both inside and outside, including the sleeping rooms. (b) To be an errand boy or a messenger of the king’s wives. (c) To be a catering official for commodities such as salt, sauce, food etc, that were out of reach of the king’s wives etc. Kiriggwajjo knew very well the difficult problems and challenges his fellow catholic palace officials, namely Joseph Mukasa and John Mary Muzeeyi often encountered within the inner king’s enclosure concerning their virtue of chastity, at the hands of many of the indecent princesses, king’s wives and other women. These women were using tactful sexual ensnares to win men and indulge into sexuality. Mukasa and Muzeeyi fought bravely and managed to stand firm against those difficult temptations and they never violated their virtue of chastity. When Kiriggwajjo pondered over all that, he got scared and felt unable to manage such a situation without violating his virtue of chastity that he treasured so much. Anatoli felt that accepting the post would automatically force him to violate his chastity. On the other hand, declining the post, i.e. (Kukuba Kabaka Obwami) tantamounted to loosing his life. Thus he had to choose between the two alternatives. Kiriggwajjo firmly preferred to decline the post and lose his life to accepting the post and save his life. The king was visibly disappointed and annoyed. He stared at Kiriggwajjo and fuming with rage just marched off. Poor Kiriggwajjo remained in that kneeling position for about 5 minutes waiting in fear for a counter deadly action from the king. When he noticed that the king had neither said nor done anything to him, he moved away to carry on other king’s duties which he was supposed to do at that time. Rev. Fr. Thoonen in his book “BLACK MARTYRS”, (Pg. 183) clearly informs us of what happened to Kiriggwajjo on Wednesday 26th May 1886. He tells us that when Charles Lwanga and other Christian pages entered the court before getting their death sentence, Fr. Lourdel overheard the king rebuking Anatoli Kiriggwajjo in a harsh and cruel voice ordering the executioners to “take that Munyoro (Anatoli) to Namugongo and burn him to death”. This was partly because Kiriggwajjo had previously declined the post offered to him by the king in preference to his virtue of chastity. When King Mwanga wanted to have the Christians put to death, he called his Chancellor and chiefs to seek their opinion. Satisfied with the subservience of his chiefs, Mwanga gave orders for all the pages to be assembled and brought before him; com¬manded the attendance of Mukaajanga and his assistant execu¬tioners; and appointed Mbugano as royal legate, with powers to seize and plunder Christians in the villages away from Munyonyo. While waiting for the pages to assemble, Mwanga seems to have found it necessary to find a whetstone for his anger, and picked upon Anatole Kiriggwajjo for the purpose. This Munyoro page, it will be remembered, had refused promotion to a position of importance in the private part of the Palace because of the moral danger assoc¬iated with it, and by his refusal had offended the young Kabaka. Although Mwanga had not made much of it at the time, the offence rankled. Now he sent for the young man to upbraid him and abuse him and, when he had finally worked himself up to a satisfactory pitch of fury, to commit him to prison, where he would shortly be joined by his fellow Christians. From prison, Anatoli was joined to his fellow Christians on their last journey to Namugongo where they were burnt to alive on Thursday 3rd June 1886 (Ascension Day).